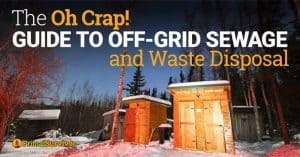 Going off grid isn’t just about saving money or doing your part for the environment. Going off grid means you are reducing your dependency on the electric companies and becoming more self-sufficient. When you’ve achieved this, you will be better prepared for disaster – whether it is a personal disaster like losing your job or a large-scale disaster like EMP. 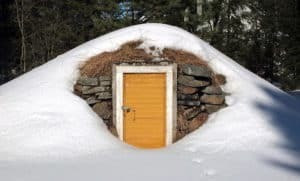 In most cases, going off grid means taking a simpler approach to life. Yeah, it may seem like more work to wash clothes by hand or go outdoors to take a solar shower, but you’ll soon realize that these tasks can be relaxing. It feels good to do things by yourself! However, going off grid doesn’t have to mean reverting to how life was 100 years ago. 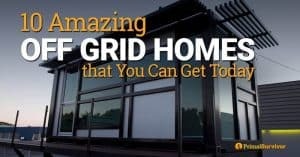 As you’ll see with these cool off grid gadgets, you can go off grid and still have your laptop, phone, and even dishwasher too! I love this gadget because of its simplicity. 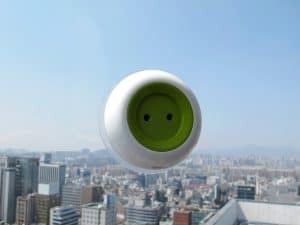 You just stick the socket on a window which gets a good amount of sunlight and then plug your devices into it. Because it has an internal battery, it can be used to power small gadgets right away or it can store power for use later. Unfortunately it isn’t for sale yet. There are a lot of off grid USB solar chargers that you can buy, so I couldn’t possibly go over them all. Anker is one of the most popular because it is very compact and also affordable. It is highly portable with fast charging technology. Especially important for off gridders it is incredibly durable. More info here. 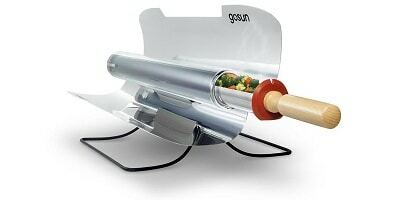 You can make your own solar cooker, but I doubt you’ll get it to perform like the Gosun! This solar cooker can cook food in as little as 20 minutes and gets up to temperatures of 550 degrees F. It can be used for baking, frying, and boiling, and weighs only 4lbs. The Gosun Sport costs about $279. More info here. Another cool solar cooker is the SolSource Kitchen. 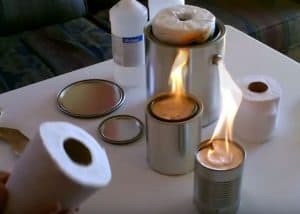 It can boil a liter of water in just about 10 minutes and gets to temperatures of 750 degrees F. The complete setup costs $749 but they have other options too. More info here. This is one of the smarter bicycle generators I’ve found. It allows you to cycle to fill the powerbank which has a 220v output. You can select the voltage you want from 3-12V. You can also use a solar cell with the Cougar to charge its bank by solar power instead of pedaling. I like that it fits underneath a desk so you can sit on a regular chair to pedal it and get your power. It’s made by a company in the Netherlands though, so you might have trouble ordering it. More info here. A lot of emergency power generators are really clunky and rely on fuel (which you will obviously run out of eventually, so not the best solution for disaster preparedness!). Not the KaliPAK. This portable generator is solar powered and stores energy in a lithium-ion battery. It has an AC/DC wall charger, car adapter, and USB charger. 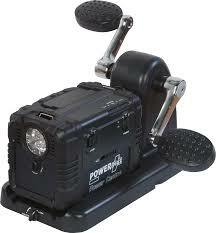 It will give you 60 hours of continuous power for lighting. You can even control and monitor the generator with Bluetooth. Oh, and did I mentioned it is quiet! There are various models. The 558 Wh model weighs just 14 pounds. The cost ranges from $599 to $999. More info here. I haven’t tried this personally, but I love the idea of it. The Drumi is a hand crank powered clothes washer. It makes it really easy to wash small loads of clothes. I’ve used the bucket + plunger method for washing clothes off grid before, but this looks a heck of a lot better! 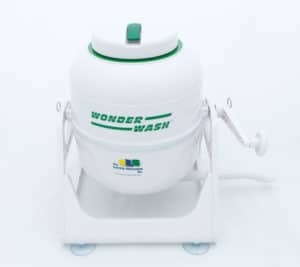 The Wonderwash also has the benefit of being portable and using just a small amount of water. More info here. The obvious solution to off grid dishwashing is to just wash them by hand. However, handwashing dishes uses up a lot of water – especially if you are actually picky about getting your dishes clean. 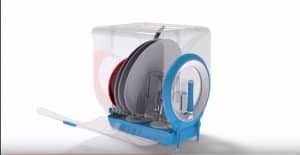 😉 One cool solution is the Circo manual dishwasher. It requires no energy to use and requires only 0.7 gallons of water per load. More info here. Unique is a company based out of Canada which makes off grid appliances for sustainable living. 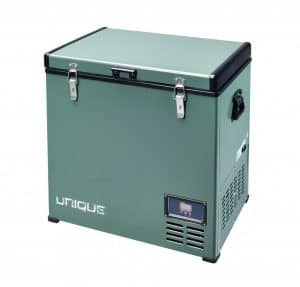 They have a lot of off grid products to choose from, but I thought I’d focus on their refrigerators because fridges are usually one of the biggest energy guzzlers. They have various sizes of fridges and freezers which can run on propane or on DC solar power. While everyone else is quickly eating up their perishable foods after a power outage, you’ll still be able to enjoy fresh foods and cold beer! More info here. 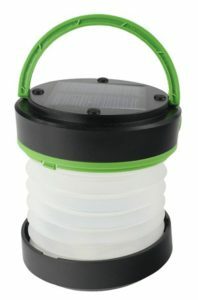 I like this lantern because it is a multifunctional off grid gadget. It has a solar power on top which captures energy and stores it in an internal battery. You can then use that energy for 20 hours of lighting or for charging a smartphone. Of course, it will also charge other USB devices. More info here. Wind power has long been dismissed as an energy source for off grid homes people the turbines had to be so large. With the Eco-worthy though, you can even take your wind turbine with you it also comes with solar panels for the best of both worlds . It comes in several different sizes. More info here. 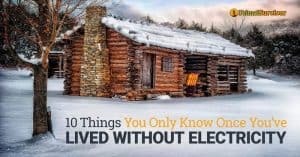 Have you started using any off grid gadgets or appliances? Let us know in the comments or join the discussion at our Facebook group! I REALLY LIKED THESE PRODUCTS.I’ll PURCHASE THESE PRODUCTS TO SAVE MONEY AND I’LL SUGGEST THEM TO MY FRIENDS. You may also want to look into the Lumi lights from MPowered.